Pope Gregory XVI (Latin: Gregorius PP. 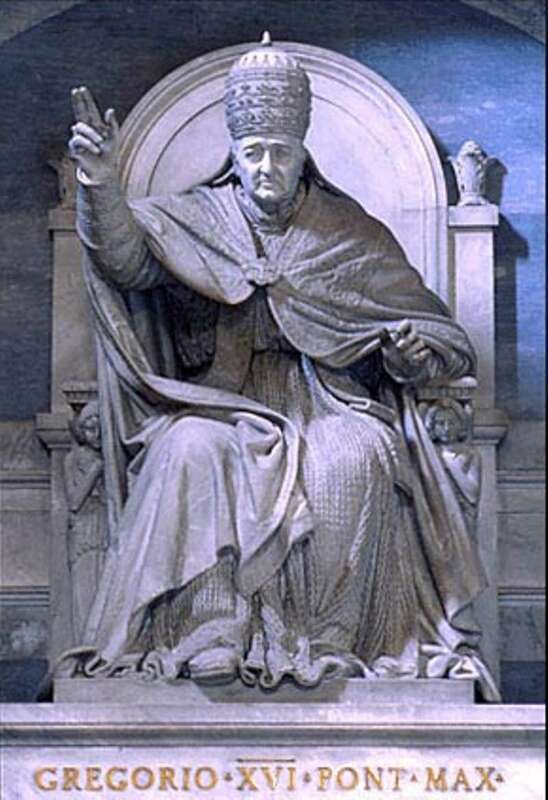 XVI, Italian: Gregorio XVI; 18 September 1765 – 1 June 1846), born Bartolomeo Alberto Cappellari, was an Italian cleric of the Roman Catholic Church and the 255th Pope from 1831 to 1846. Bartolomeo Alberto Cappellari was born in 1765 in Belluno, which was part of then in the Republic of Venice. He became a monk in 1783; and he took the name Mauro. Dom Mauro became a priest in 1787. Pope Pius VII confirmed his election as Abbot Vicar of the San Gregorio Monastery in 1805. 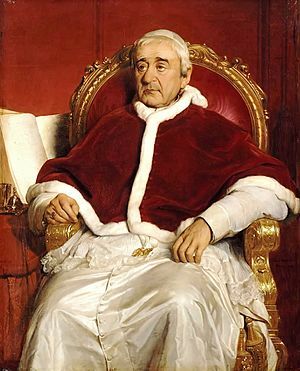 In 1825, Leo XII made Dom Mauro a cardinal. In 1831, Cardinal Capillaria was elected Pope; and he chose to be called Gregory Gregory. He use Austrian troops to stop a revolution in the Papal States. Pope Gregory XVI Facts for Kids. Kiddle Encyclopedia.